Alien Explorations: Alien: Giger's influence on Ron Cobb's Alien Birth Temple. 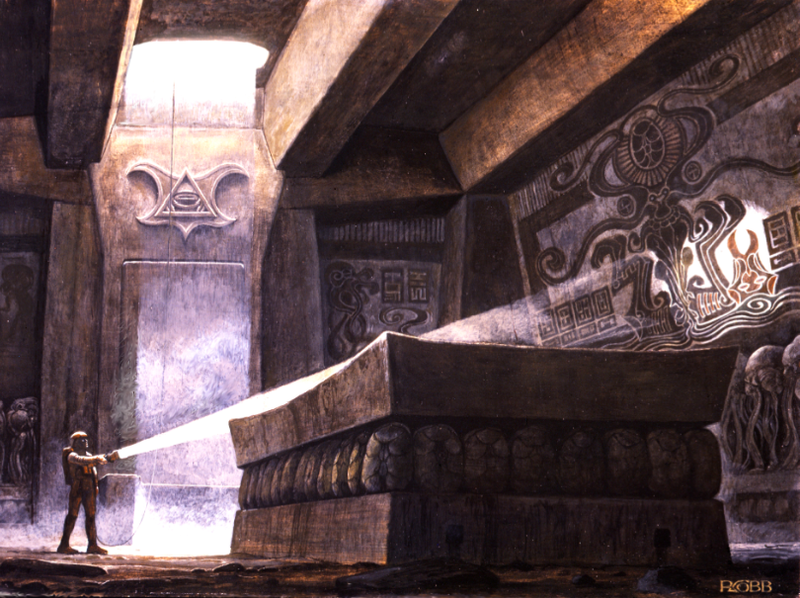 Alien: Giger's influence on Ron Cobb's Alien Birth Temple. a) Visible remnants of Giger's paintings? 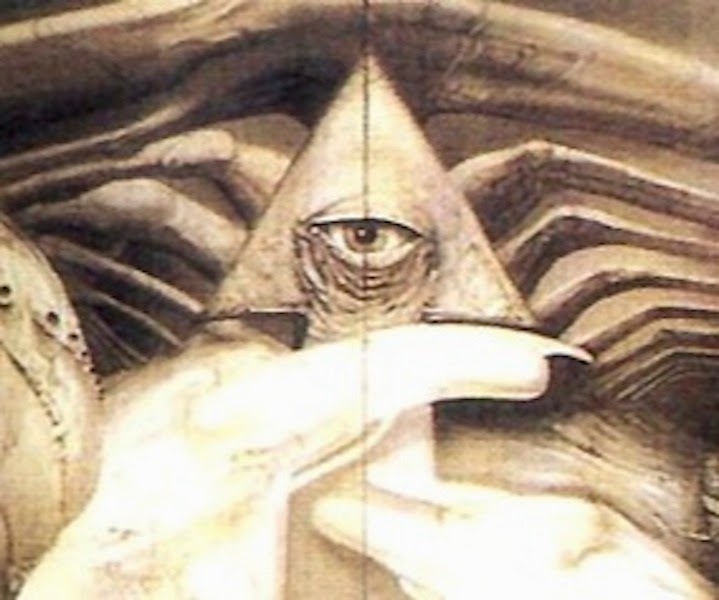 Dan O'Bannon wanted Giger to design the pyramid interior from an early point in the movie preproduction. What caught my eye in Ron Cobb's painting made to help sell the Alien script were two things. 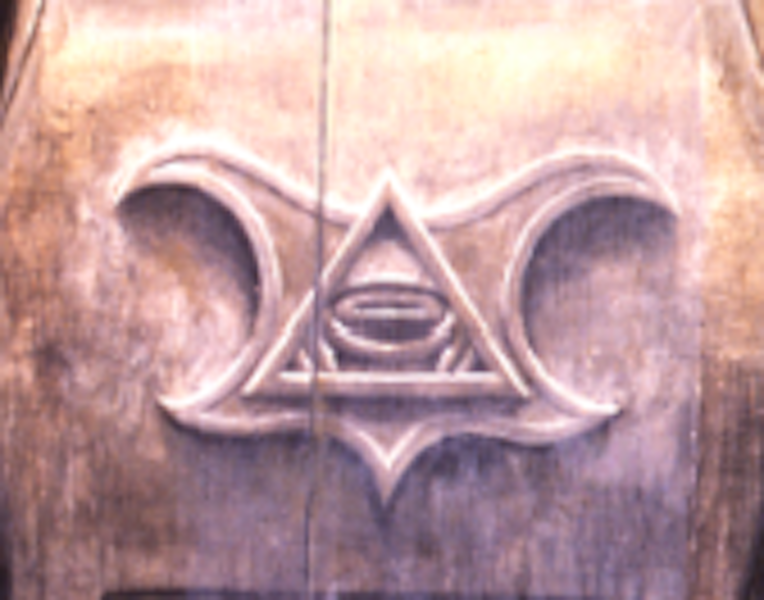 The roof of the chamber's similarity to a Passage paintings and the strange winged triangle with an eye in the centre. 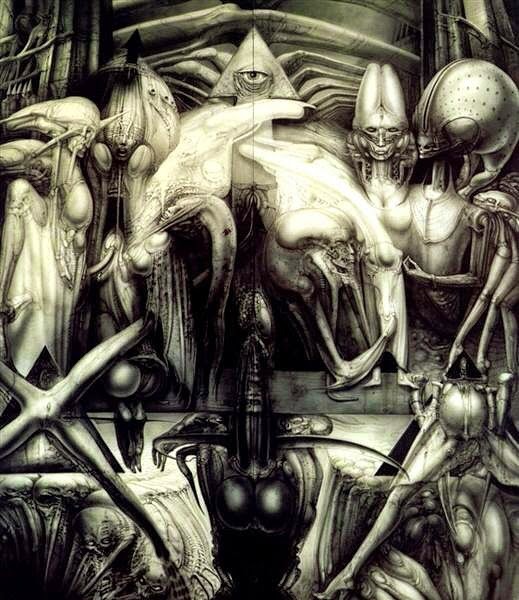 To L.A., Dan had brought with him a copy of Giger's book "A Rh+" work catalogue leading up to 1970 which contained images such as the Passages i-ix series. If he had any more materials at that point, he didn't mention it. Possible inspiration for Ron Cobb's Alien Birth Temple interior As one looks at Ron Cobb's Alien Birth Temple, one might begin to ask if there has been inspiration from Giger's passages for the narrow cieling. 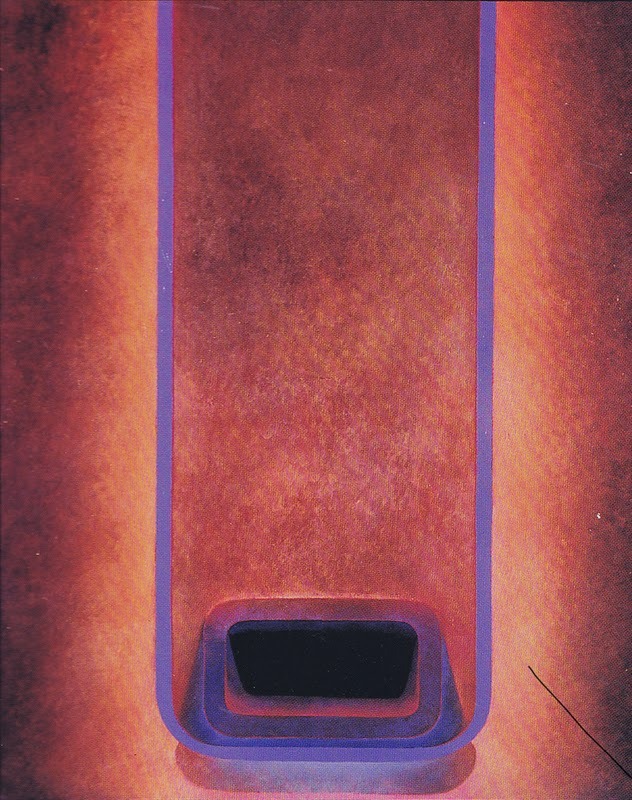 The above painting Passage VI is simply a main example to use of the series to point out the similarity, there are a few others very similar in the series. This is Gigers Work No 210 not 120!